LANCASTER, Pa., 2017-Jul-04 — /EPR Retail News/ — Auntie Anne’s®, the world’s largest hand-rolled soft pretzel franchise, today (June 23rd, 2017) announced a new catering menu to meet the needs of customers for business or social occasions. The new menu features various bulk packages of menu favorites, including Original Pretzel Nuggets and Mini Pretzel Dogs. Pretzel Package: Mix and match any flavor of pretzels. Choose from Original, Cinnamon Sugar, Sweet Almond, Pepperoni, Roasted Garlic & Parmesan and Sour Cream & Onion. Pretzels are individually wrapped and available in various quantities. Pretzel Dog Package: Pretzel Dogs are available either on a shareable tray or individually wrapped, featuring classic Auntie Anne’s pretzel dough wrapped around a Nathan’s Famous®, all beef hot dog. Bundles are available in various quantities. Pretzel Buckets: Buckets offer a fun, shareable way to enjoy bite-sized Original or Cinnamon Sugar Pretzel Nuggets and Mini Pretzel Dogs. Each bucket serves approximately 10 – 12 people. 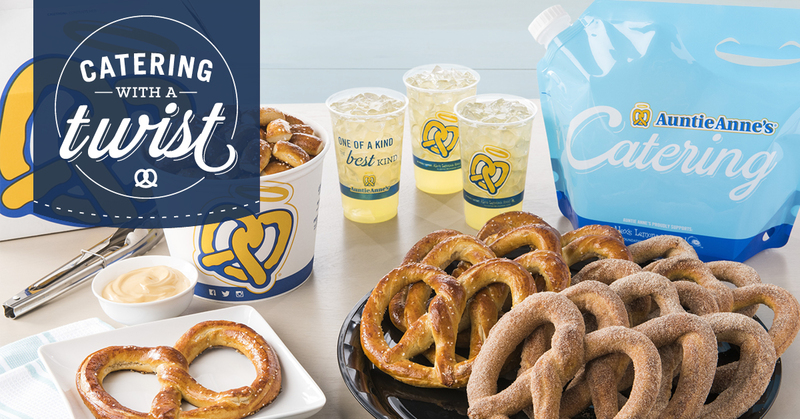 Drinks and dips are a great add-on to any of the above packages, and Auntie Anne’s is happy to work with guests on custom orders to meet their catering needs. Auntie Anne’s signature old-fashioned Lemonade – including fruity Lemonade Mixers and the new Lemonade Iced Tea – is available by the gallon. With eight varieties of sweet and savory dipping sauces, Auntie Anne’s is bound to hit the spot any time, any day. For more information about catering at your local Auntie Anne’s, please call or visit your nearest Auntie Anne’s location: http://www.auntieannes.com/locations. With more than 1,700 locations in 48 states and more than 25 countries, Auntie Anne’s mixes, twists and bakes pretzels to golden brown perfection all day long in full view of guests. Auntie Anne’s can be found in malls and outlet centers, as well as in non-traditional spaces including universities, airports, Walmarts, travel plazas, military bases, and food trucks. For more information, visit AuntieAnnes.com, or follow on Facebook, Twitterand Instagram. To receive the latest offers – including a free pretzel for your birthday – download the My Pretzel Perks app.  This entry was posted in Business, Food & Beverage, Marketing, Retail, Retailer and tagged Auntie Anne's, bulk packages, Carol Pasquariello, catering menu. Bookmark the permalink.